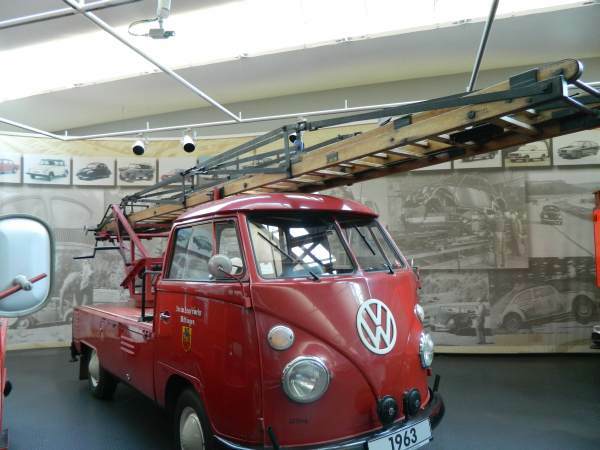 Of course we had to make sure we visited the birthplace of the Volkswagen Bus, Wolfburg Germany. After arriving in Wolfsburg, we purchased our tickets to the Autostadt and booked a tour of the Volkswagen factory (where no photos are allowed). They picked us up by boat, took us to the plant where we toured by electric vehicle. We witnessed people putting together various parts of the car, but the use of robotics was immense. It was amazing that almost everything on the exterior was done by robots, including the putting on of window rubber, windshields, wheels and molding. We saw cars being painted by robots too. Volkswagen claims that the Wolfsburg plant is the largest auto plant in the world, it produces over 3000 Volkswagen Golfs per day! 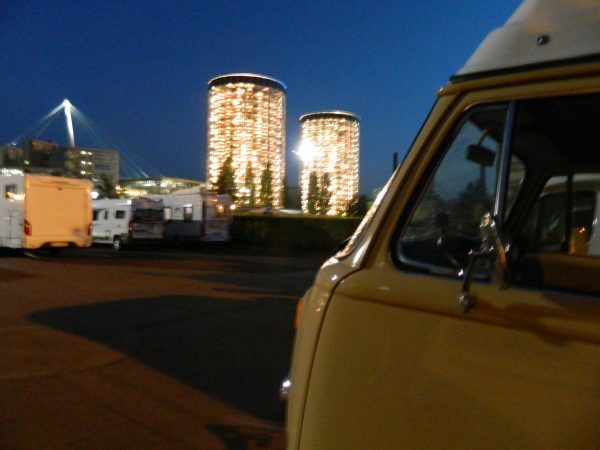 In the town of Wolfsburg, Volkswagen employs 53,000 people. It is rare to see a car that is not a Volkswagen in this company town. 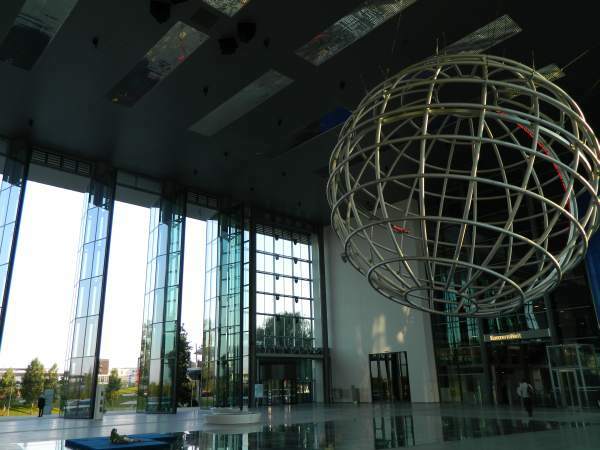 The Volkswagen Autostadt is 28 hectares (70 acres) of parkland, museum, architecture, design, engineering and nature. It is like a theme park for car enthusiasts. You can drive any Volkswagen vehicle, order one to your specifications and pick it up there. When your car is complete, it is mechanically placed into one of two towers where it waits for your arrival (the pick up option is available only to those in Germany, the Netherlands or Austria). Watch the video here (https://www.youtube.com/watch?v=o0-b-D6TCpY) of how the cars are handled after leaving the factory prior to pickup. The plant provides parking lot camping for visitors. 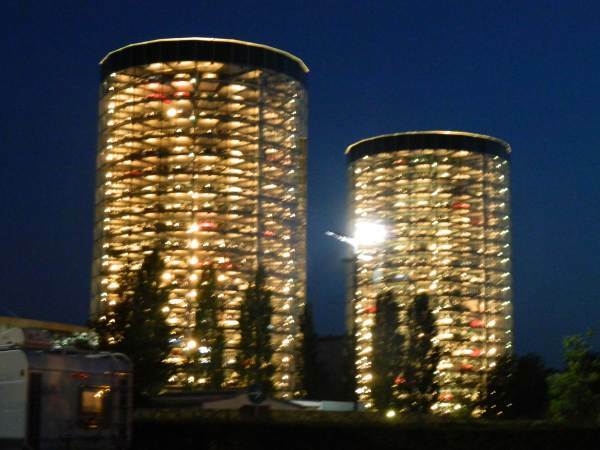 Storage towers lit up at night. 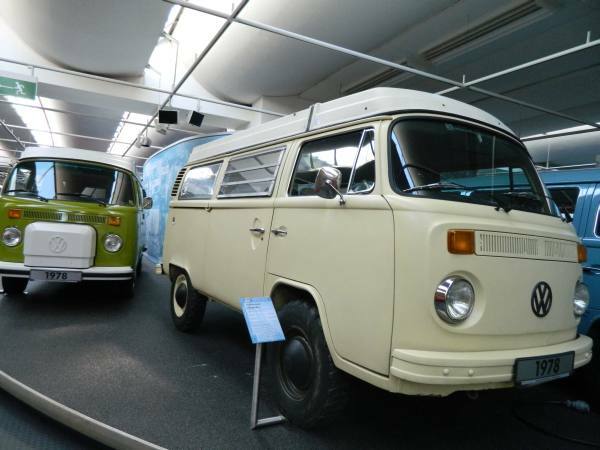 In addition to the Autostadt, Wolfsburg is home to a privately owned Volkswagen museum. 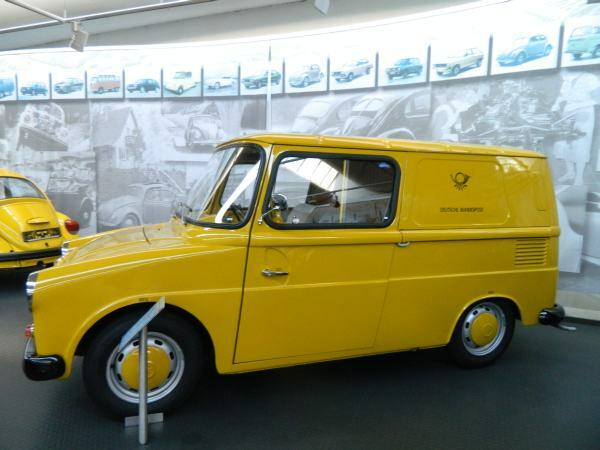 It contains a good representation of Volkswagen history and contains a couple of very rare cars and factory vehicles. We have found it odd that old air cooled Volkswagens seem hard to find in Germany. We have had numerous comments and conversations about our camper, and the locals express that there are not many left. In the past two weeks we haven’t seen another bus or beetle older than 1970. In fact, while driving through Berlin, a motorcycle pulled up next to us at a stoplight and commented on our bus, and then asked if we would sell it. We politely said no, and then he commented on how hard they are to find. 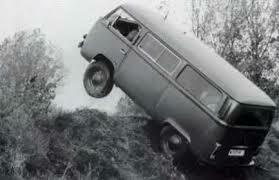 Early factory four-wheel drive test vehicle. One of only a few made. My favorite. Factory picture of the bus in action. VW Bus firetruck. First responder? Something that never made it to America. 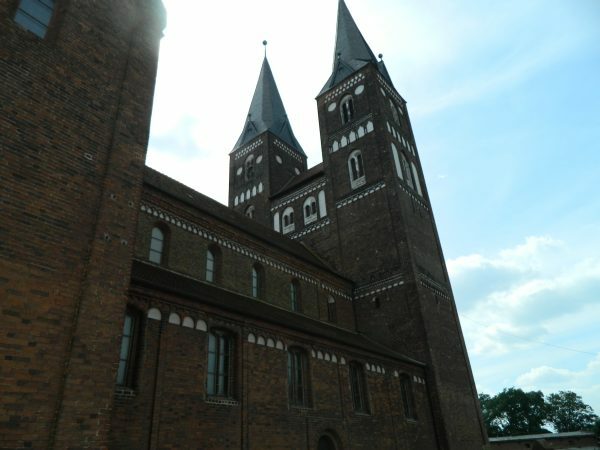 While driving across Germany, we happened across yet another amazing structure in a small out-of-the-way town, the Monastery Jerichow. The intriguing, detail laden exterior of the Monastery Jerichow continued to amaze us as we explored the path through the exterior courtyard. 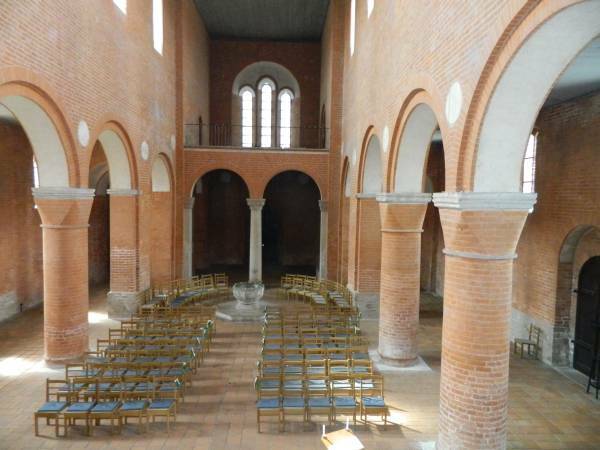 This 12th century church and grounds awed us with its monumental sense of space and harmony of proportion. 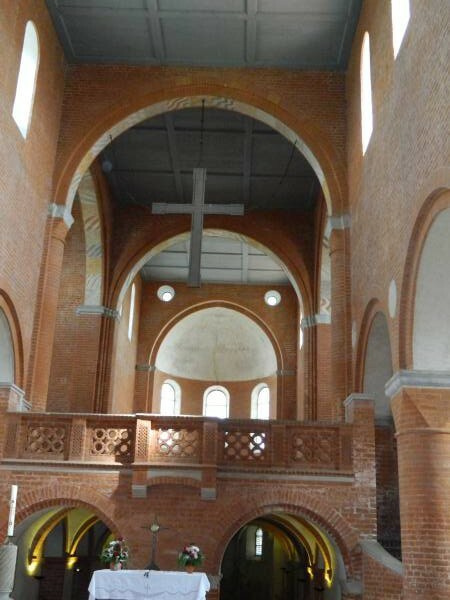 The details and craftsmanship of this pure Romanesque style building once again humbled us. 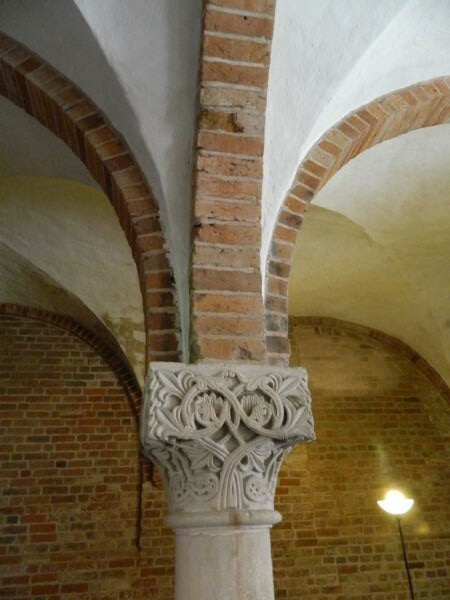 The interior arches, supported with column capitals, are uniquely and elaborately decorated. 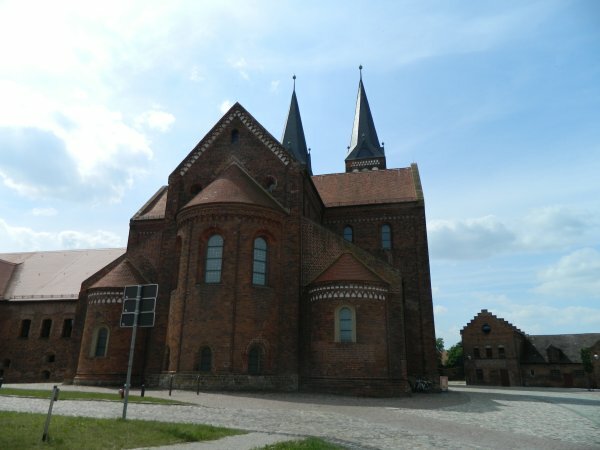 The use of red bricks throughout added to its sense of spaciousness and symmetry. Its hard to believe that a local farmer used the interior of this church to store farm equipment early in the 1900’s when the church was abandoned. One of many carved sandstone columns. Really cool!! The auto storage towers are amazing! Thanks for the comments. Hope your summer is going well, won’t be long and it will be over and school will be in session. Enjoy your last few weeks off. I hadn’t seen this posting before. I lived in Wolfsburg for a little over a year. My ex-husband was born there; his parents still live there as well as his brother and other relatives. Most of them were VW employees. I also enjoyed the tour of the museum and learning about the story behind the rings logo on the Audi.